A quiet little mountain town is hiding a big problem. When the townsfolk of Raven’s Peak start acting crazy, Abigail Dressler is called upon to discover the root of the evil affecting people. She uncovers a demonic threat unlike any she’s ever faced and finds herself in a fight just to stay alive. Abigail rescues Haatim Arison from a terrifying fate and discovers that he has a family legacy in the supernatural that he knows nothing about. 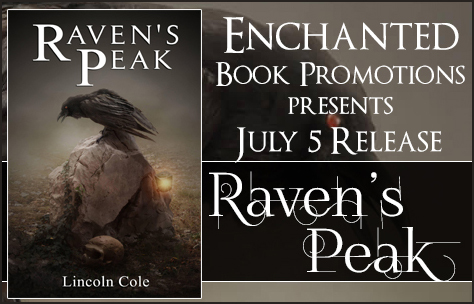 Now she’s forced to protect him, which is easy, but also to trust him if she wants to save the townsfolk of Raven’s Peak. Trust, however, is something hard to have for someone who grew up living on the knife’s edge of danger. Can they discover the cause of the town’s insanity and put a stop to it before it is too late? Lincoln Cole is a Columbus-based author who enjoys traveling and has visited many different parts of the world, including Australia and Cambodia, but always returns home to his pugamonster and wife. His love for writing was kindled at an early age through the works of Isaac Asimov and Stephen King and he enjoys telling stories to anyone who will listen. using his involuntary servants to seize the realm and shape it to his own crushing desires. revenge. However, she’s about to discover that her enemies are not who she thinks they are… and neither are her friends. 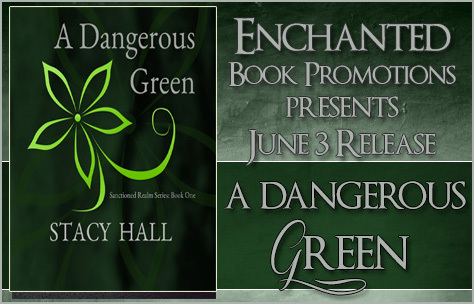 Stacy Hall is the author of the Sanctioned Realm series and has had flash fiction published at Flash Fiction Magazine and 101 Words. In her free time she enjoys sewing and all things crafty. Discover the timeless, inspiring wisdom of leadership from the sage masters of literature and other outstanding leaders written over the centuries right up to the present day. Bob has selected over 70 poems, prose or speech passages, and curious verse, each with an insightful leadership message. He combines these pearls with bite-sized chunks of engaging commentary from his own vast leadership experience. Then he closes each entry with practical applications that each reader can use immediately. You’ll hear from an amazing array of poets, presidents, prime ministers, political leaders, social activists, soldiers, educators, journalists, business leaders, the Bible, religious leaders from many faiths, Native Americans, a lyricist, and relatively unknown authors. You’ll want to give copies to people you care about. This book was fun to write. There are too many books out there now with some new leadership model, some fable about fictitious characters, or some pithy leadership quotes without much in the way of how to apply them to your life. I wanted to write a different book about leadership. I have been a student of leadership and poetry my whole life. I love good literature and have found keen insights into the human condition from the master writers of history. So, why not look to the poets, prose writers, and famous speeches of history to see what the masters have already said about leadership? The answers we need today are all there. It’s been said before, and said very well. But how many people today are reading great literature or poetry? Not many, I fear. So, I’ve made it easy for you the reader. 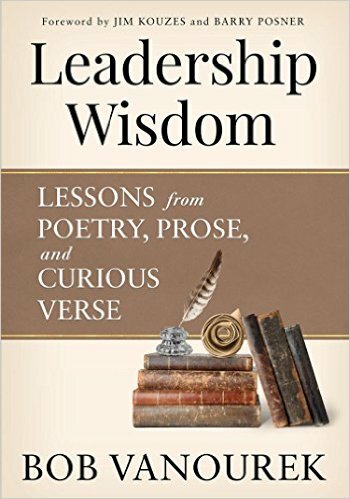 I’ve selected over 70 poems, prose passages, excerpts from great speeches, song lyrics, or what I call “curious verse,” each with a leadership message that resonates with me. I place those passages on the left page of the open book. Then on the right page I tell you a bit about the author and context. Then I offer my commentary on the passage, drawing on my experiences, good and bad, in leading many companies, as well as the wisdom of the true leadership gurus of our time. Finally, and perhaps most importantly, I close with some practical applications that you, the reader, can use immediately to take this pearl of wisdom and apply to your own life. The result is a powerful combination of left and right-brain thinking. 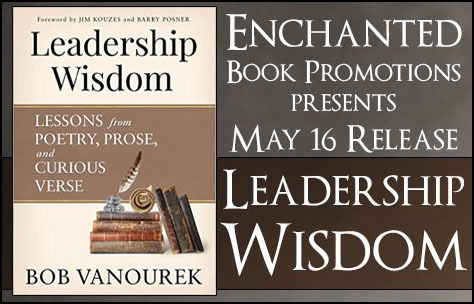 I hope and trust that you will enjoy the compendium of leadership wisdom I have gathered here. Good luck and Godspeed on your leadership quest. 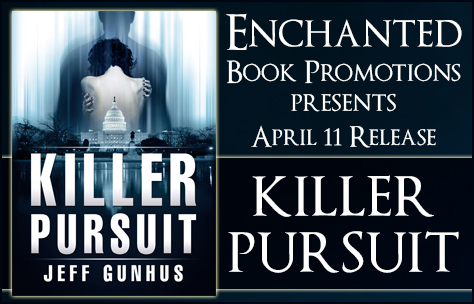 When a secret webcam is found in the Georgetown bedroom of a murdered high-society call girl, everyone in Washington, DC wants the recording…especially the killer. After a high-society call girl is brutally murdered in her Georgetown home, investigators find two cameras hidden in the walls of her bedroom. One has its memory erased, presumably by the murderer. The second is a webcam with an encrypted connection…and no-one knows who’s on the other end. Whoever has the recordings has embarrassing leverage against some of the most powerful men in DC, not to mention a video of the murder showing the identity of the killer. FBI Special Agent Allison McNeil is asked by beleaguered FBI Director Clarence Mason to run an off-the-record investigation of the murder because of the murder’s similarity to a case she worked a year earlier. Allison knows the most direct path to apprehending the killer is to find the videos, but rumors that the victim’s client list may include some of Washington’s most powerful men makes her doubt the director’s motives. As she starts her investigation, she quickly discovers that she’s not the only one pursuing the recording…but that the most aggressive person racing against her might be the murderer himself. Jeff Gunhus is the author thriller and horror novels for adults and the middle grade/YA series, The Templar Chronicles. The first book, Jack Templar Monster Hunter, was written in an effort to get his reluctant reader eleven-year old son excited about reading. It worked and a new series was born. His books for adults have reached the Top 100 on Amazon and have been Foreword Reviews Book of the Year Finalists. After his experience with his son, he is passionate about helping parents reach young reluctant readers and is active in child literacy issues. As a father of five, he leads an active lifestyle in Maryland with his wife Nicole by trying to constantly keep up with their kids. In rare moments of quiet, he can be found in the back of the City Dock Cafe in Annapolis working on his next novel. Rachel’s father called it the running game. Count the exits, calculate the routes. Always be ready to run because they’ll always be coming for you. Whatever happens, they’ll always be coming for you. On the surface, Rachel is just an ordinary doctor, trying to stay alive in war-torn London, but she has a secret. 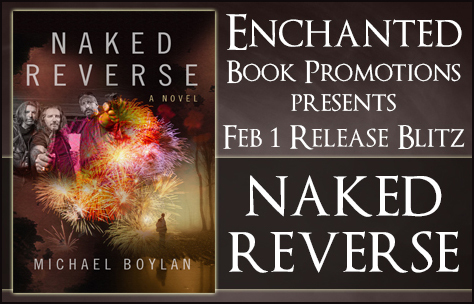 Rachel is a Reacher – wanted by the government and by the criminal underworld – for her telekinetic powers. Charlie and his brother John had a reputation for doing the impossible. But after losing his family, Charlie is a broken mess and John is barely keeping him afloat. In desperation, they take a job from a ruthless ganglord only to discover the girl they are hunting is a Reacher – one of their own kind. James Roxton, a conman and thief, is searching for the man who tried to kill his mother. Suddenly embroiled into the plan to kidnap Rachel, he decides he can turn things to his own advantage. Even with the help of dangerous and dubious allies, can Rachel turn the game around and save herself? L E Fitzpatrick is a writer of dark adventure stories and thrillers. Under the watchful eye of her beloved rescue Staffordshire Bull Terrier, she leaps from trains and climbs down buildings, all from the front room of a tiny cottage in the middle of the Welsh countryside. Inspired by cult film and TV, L E Fitzpatrick’s fiction is a collection of twisted worlds and realities, broken characters, and high action. She enjoys pushing the boundaries of her imagination and creating hugely entertaining stories. 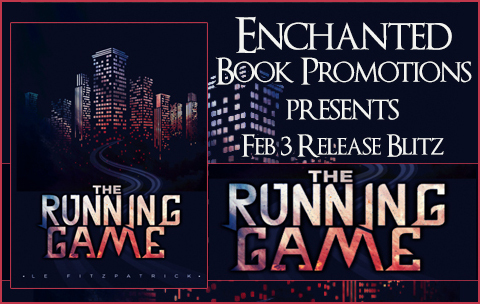 The Running Game, her latest book and the first instalment of her dystopian Reacher series, is due for re-release in October 2015 under the Booktrope label. Buy the book on Amazon today! There’s a secret back door to the Ivory Tower. Follow college professor Andrew Viam through that secret passageway as he goes on an Odyssey into the real world full of love and violence. Will he survive? This is an open question. He falls for a woman, but then she’s running away from a boyfriend who’s into Organized Crime and wants her back. From the tough city streets of Chicago to the wild woods of Wisconsin, Andrew will have to call on new resources if he wants to make it alive to next term. It’s a summer break he’d never experienced—and hopefully never will again. Michael Boylan is Professor and Chair of Philosophy at Marymount University. He is the author of 29 books and over 130 articles in literature and philosophy. He has delivered invited lectures in 14 countries on 5 continents. He is a lifetime fellow of the British Arts Trust in Reigate, Surrey. Fate has been messing up Dennis’s life for as long as he can remember. It was Fate that decided Russell Folmer—the biggest, ugliest, and meanest kid on earth—would live only two houses south of Dennis’s. Fate was also responsible for making Russell the same age and placing him in the same school. So who else but malicious Fate would arrange for Russell to be in the wrong place at exactly the wrong time when the bombs crafted from the only product a dog manufactures fell from Dennis’s experimental kite? Now, with dog dumplings decorating Russell’s extremely large and angry face, it looks as though Dennis’s days of successfully dodging the well-known bully are over. 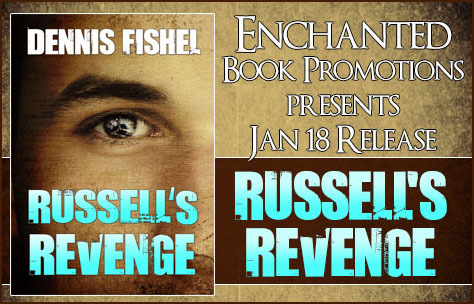 As the sound of Russell’s pounding feet gets ever closer, two questions flare up in Dennis’s panicked mind like neon in the blackness of a cave: What has he done to make Fate hate him so much, and how is he going to get out of this fix? Owned and managed by dogs for most of his life, Dennis shares a home on Washington’s Olympic Peninsula with his four-legged boss, Sally. Together they pursue their interests in wooden boats, fly fishing, chasing down obscure historic sites, and hiking to remote places just for the fun of it. 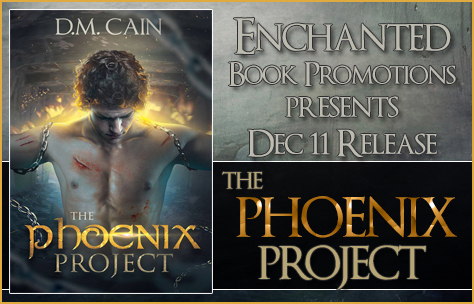 A man fights for life—and redemption—in D. M. Cain’s riveting new novel, The Phoenix Project. D.M. 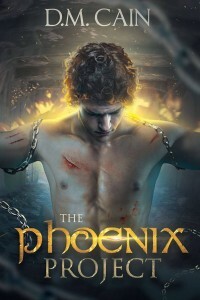 Cain is a dystopian and fantasy author working for US publisher Booktrope. 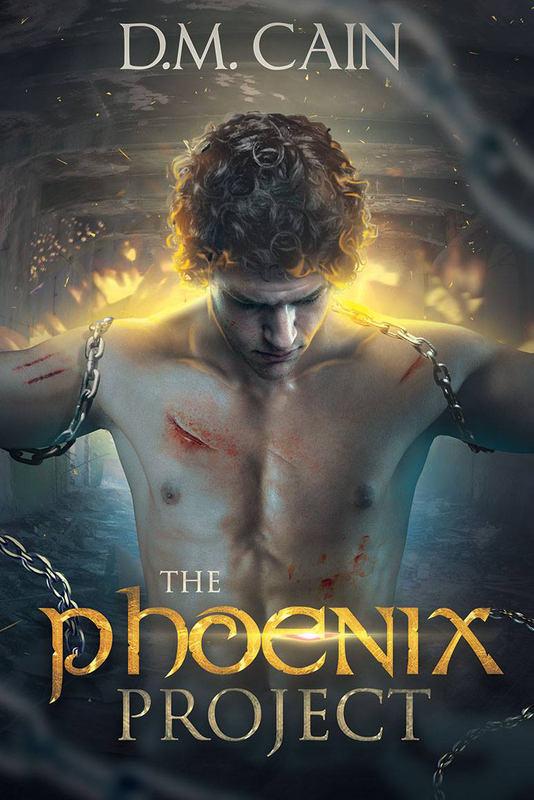 She has released three novels: The Phoenix Project – a psychological thriller set in a dystopian future, Soren – a middle-grade fantasy, and A Chronicle of Chaos – the first in a dark fantasy series. She is currently working on the next novel in the series, ‘The Shield of Soren’, and a novella to accompany it. D.M. Cain is also a member of the International Thriller Writers and is one of the creators and administrators of the online author group #Awethors. Her short story ‘The End’ was published in Awethology Dark – an anthology by the #Awethors. Cain lives in Leicestershire, UK, with her husband and young son, and spends her time reading, writing and reviewing books, playing RPGs and listening to symphonic metal.